Marc Patoile – Discrete, Strategic, RESULTS! We welcome all inquiries and our strategic, seasoned attorneys are happy to consult with you about your legal needs. Our firm has been done most every road before with our clients for over 40 years now. We strive to maintain close working relationships with our clients, while providing the best and most responsive service. Our firm’s Castle Rock lawyers are strategically located between Denver and Colorado Springs, serving the Douglas County Courts, Arapahoe County Courts, Denver Courts, JeffCo Courts, Adams County Courts, Elbert County Courts, Boulder County Courts and more. Partner at Folkestad Fazekas Barrick & Patoile, P.C. Marc Patoile is a named partner at Folkestad Fazekas Barrick & Patoile, P.C. Founded in 1972, we are one of the largest and oldest law firms in Douglas County, Colorado. The four generations of Castle Rock attorneys at the firm practice in different practice areas and can serve individuals and business in diverse range of legal areas. 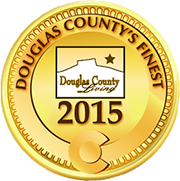 Among many other distinguishing awards, he Douglas County law firm was chosen as the Best of the Best 2007 and 2012 Law Practice and as the 2008 and 2015-Douglas County’s Finest Attorneys. Marc Patoile, of Folkestad Fazekas Barrick & Patoile, P.C., has been selected to the 2015 list as a member of the Nation’s Top One Percent by the National Association of Distinguished Counsel. As a Castle Rock lawyer, Mr. Patoile has been chosen as the Best of the Best 2009 Douglas County Attorney, by the readers of the Douglas County News-Press and the Castle Rock News Press. For over 20 years the firm has featured in the Bar Register of Preeminent Lawyers by Martindale-Hubbell. Mr. Patoile has had an AV® preeminent attorney certification for over 15 years, which is a significant rating accomplishment – a testament to the fact that a lawyer’s peers and judge’s that he has appeared before rank him or her at the highest level of professional excellence. You can also research us at http://www.martindale.com/Marc-C-Patoile/42003744-lawyer.htm where both the firm and Mr. Patoile have obtained Preeminent and AV rankings from our peer reviews by other attorneys and judges. Marc Patoile is a trial attorney and Director of Folkestad Fazekas Barrick & Patoile, P.C., the oldest and one of the largest firms in Douglas County, Colorado. Mr. Patoile has tried over 100 trials and contested hearings in Colorado. He has served as a mediator and court-appointed special master, in addition to having a background in collaborative law, which affords him a unique perspective in settling complex matters. Mr. Patoile is the past President of the Douglas-Elbert County Bar Association, where he also served as Vice-President and Treasurer. He has served on to the Colorado Board of Governors and serves as an alternate Municipal Court Judge. Mr. Patoile was the prosecuting attorney for several years in Monument, Colorado and has been a Special Prosecutor in Castle Rock and Greenwood Village, Colorado. He has been previously appointed by federal and local courts to handle a wide variety of trial matters. Folkestad Fazekas Barrick & Patoile, P.C., was chosen as the Best of the Best 2007 and 2012 Law Practice and as the 2008-Douglas County’s Finest Attorneys. Marc Patoile has been chosen as the Best of the Best 2009 Attorney, by the readers of the Douglas County News-Press and the Castle Rock News Press. One of only a very few Castle Rock lawyers to receive such a rating, Mr. Patoile holds the highest peer review rating, AV from Martindale-Hubbell. The firm is recognized in the 2014 Bar Registry of Preeminent Lawyers, where it has been listed for over 25 years. If you want to discuss your case with a strategic, discrete and seasoned Douglas County lawyer for a matter in the Denver Front Range area, call today at 303-524-3393. Our Douglas County lawyers can assist you with cases serve the Front Range Area, including Denver metro area from our offices in Castle Rock, Douglas County, Colorado. Douglas County attorney providing representation in the local, state and federal courts including Douglas County, Arapahoe County, Elbert County Jefferson County, Denver, Adams County, El Paso County, Boulder County, Pitkin County, Eagle County, and more, from a seasoned Castle Rock lawyer..